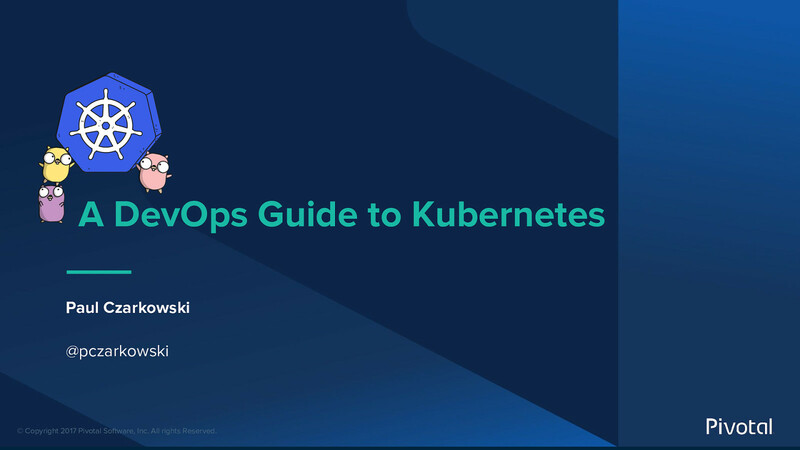 View A DevOps Practitioner's Guide to Kubernetes. An introductory presentation on Kubernetes focussed on the relevant interests and concerns of curious DevOps practitioners. The talk starts with an overview of the components that make up Kubernetes and how they work together to form a platform for scheduling and scaling containers. I will then talk through the various resources that Kubernetes make available to the user and how they can be composed together to deploy scalable and robust applications, not only for “cloud native” app but also for existing apps, even the dread legacy apps. I’ll also talk about how it fits in with the existing ecosystem of tools and practices that you’re likely already be using. You’ll leave this talk with a solid understanding of the fundamentals of Kubernetes, how it could fit into your DevOps toolchest, and sense of whether you should use it or not.